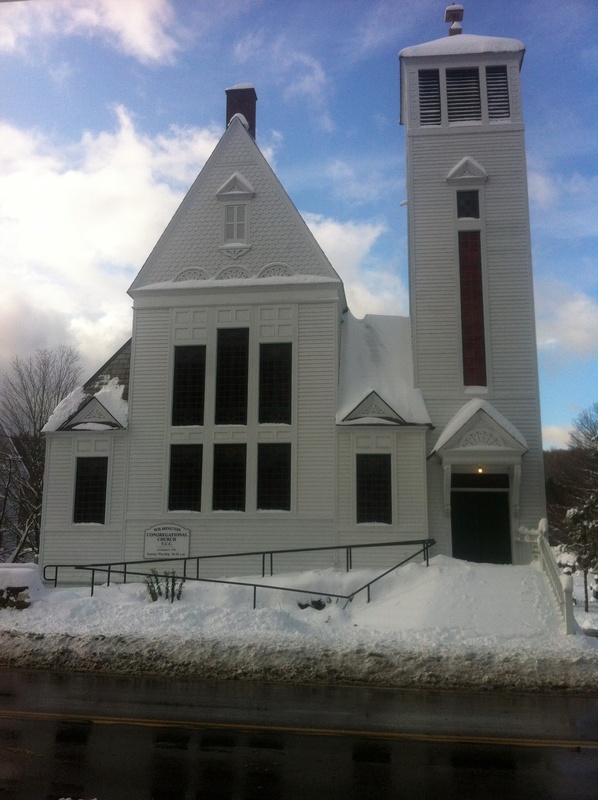 This Advent my congregation, a typical New England Congregational parish, is holding joint mid-week services with the local Episcopal parish. Last week we worshiped in the Episcopal sanctuary where I preached and their priest celebrated communion. This week my church hosted, their priest preached, and I celebrated communion. Some clergy friends wanted to know more about how this arrangement worked. “What about the different theologies?” “But you don’t have the same understandings of Communion!” “Were your people really okay using the Book of Common Prayer?” There seemed to be disproportionate amazement that two different Christian traditions could worship together. I can report that nothing, not even the suspect pairing of a Congregationalist and a prayer book, was capable of keeping us from successfully worshipping Christ together. In the second week of Advent we focus on peace. We explore what it means to be people of peace on every level: non-violence, inner peace, and more. But this week I’ve been thinking about another kind of peace: the peace that we Christians can extend to one another across denominational lines, and the potential that peace brings for reconciliation. In the old mainline Protestant churches (Presbyterian, Episcopal, Lutheran, Methodist, UCC, and more) there are deeply entrenched denominational identities. Often if you ask a member of one church what they believe, you’ll hear more about what they don’t believe. A member of the UCC might say, “Well, we don’t believe in having bishops to tell us what to do”. Or a Lutheran might tell you they don’t believe in waiting until you’re an adult to be baptized. Or a Methodist will tell you they don’t believe in predestination. But the landscape of the American church is changing dramatically. In twenty years denominations won’t look anything like they do now. We simply are not going to be able to sustain so many large denominational headquarters and hierarchies. And, for many of us, that is rather terrifying. But it doesn’t have to be that way. The reality is that many of the historical Protestant churches are clinging onto identities forged in theological conflicts from the 1500’s and 1600’s. Others are still defined by regional differences from centuries past. And despite the fact that we have much more in common than we realize, we remain separated centuries later. We don’t have to stay that way, though. I’ve never been one to believe that the church is dying. The church is the body of Christ, and if we are truly people who believe in the resurrection of Christ, that means that the church cannot die. But we are changing. And it could be that the situation American mainline churches find themselves in is just radical enough that it will give us the “gift of desperation” that shakes us out of our comfortable places and into a place of new cooperation. Last night as we passed the peace of Christ, I wondered what it would take for that peace to find its way into every denominational meeting, and what it would mean for that peace to reshape everything. What would it mean to really believe that the peace of Christ is so great that our theological differences, while real, don’t matter enough to keep us apart? What would it mean to put our first faith not in our prayer books or polity documents or faith statements, but in Christ himself? In Advent, we who are the church can look for new starts. We can look for ways that Christ’s peace is creeping into our life together. And we can reach out across the aisle in that peace, and find that together we can do far more than we ever can apart. That’s what Advent is all about: preparing us for God being with us, and us being with one another. Question: What are the small things keeping our churches from extending peace and reconciliation to one another? Prayer: God, you have reconciled us to you through Christ, help us to reconcile ourselves to one another. Save us from the false idolatries of what matters little, and grant us a peace that can overcome all, until all your body is one. Amen.